Canadian poker pro Parker “tonkaaaap” Talbot is one of Upswing Poker’s resident experts and coaches. Parker Talbot is widely considered to be one of the best high-stakes Twitch tournament streamers, and, luckily for Upswing, he was tapped to create insightful content for the Upswing Lab. The 25-year-old Talbot has been an online tournament player for over seven years and boasts more than $3 million in nearly 3,000 online cashes. He credits his love of the game, passion, and considerable time spent putting in the necessary work away from the table. Talbot began playing poker with his parents while a child. Later, while attending Ottawa University, Talbot stayed away from the poker tables, largely due to his parents’ desire that he finish his education—and the fact that he was not legally old enough to gamble. However, once he hit the age of majority, he was hooked—not only on winning but on the game itself. Soon enough, Talbot was playing several times per week, and this eventually led to his playing hooky from school and spending an inordinate amount of time at the casino. And as would be expected, Talbot never returned to school. In early 2017, Parker Talbot became an 888poker ambassador, and, today, he spends much of his time directing volume to the site and promoting upcoming 888Live events. He also plays on PokerStars. In addition to playing—and streaming—online, Talbot can also be found at the World Series of Poker (WSOP), was seen on Poker Night in America’s King of the Hill II tournament, and is working on broadening his horizons with additional live tournaments. Prior to streaming on Twitch, Talbot admitted he wasn’t a social media kind of guy. In fact, before Twitch, he never really ventured into the increasingly popular social media realm; however, now, he finds himself constantly connecting with his fans and devoted followers. Talbot’s primary forum is his tonkaaaap Twitch channel where he can be seen virtually around the clock playing any number of online tournaments or cash games whilst listening to an eclectic variety of music. For added entertainment, make sure to read the comments from tonkaaaap’s legion of followers. Then there’s Talbot’s YouTube channel that is, interestingly, called Team NeverLucky which seems to be quite the misnomer. Similar to his Twitch live stream, Talbot shares his expertise in his unique, animated, and cynical style. It is not difficult to see how people could become addicted to his youthful vibrancy, his odd humor, and the masterful way he not only plays well but handles multiple tables simultaneously—seamlessly flowing from table to table making oftentimes successful bets and calls. In this interview with Barry Carter, Talbot stresses that his impetus while live streaming or creating YouTube videos is to simply “be me and uncensored” absent any concrete plan. When Talbot is online playing as tonkaaaap, he is streaming, essentially, 99% of his playing time. Talbot does stress that streaming is not an ideal way for viewers to learn how to play effective and successful poker. While Twitch has become increasingly popular, Talbot stresses that YouTube is the future of poker streaming because players have the ability to drive traffic to other pros through each one’s following, thus providing immeasurable benefits to YouTube personalities and their subscribers. He cites people like Upswing’s own Doug Polk who has become among the top YouTube personalities in the poker world who are benefiting greatly from the growing popularity of the platform coupled with his ability to generate interest and entertainment not only for himself, but for poker in general. If you haven’t already checked him out, you will love Talbot’s animated, personable, and cynical attitude that has made him a hit on Twitch and earned him nearly 50,000 YouTube subscribers. Talbot is, indeed, prolific. In addition to his Twitch and YouTube sites, you can follow him on his tonkaaaap Instagram page, Twitter feed, Facebook page, and Snapchat. 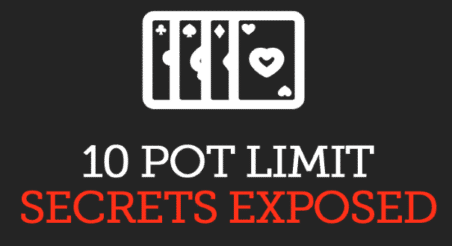 Note: Want to play poker like the pros? Join the 151,389 people who have upgraded their poker skills with our FREE Preflop Charts! Get them now! Talbot stresses that goals set people up for failure and is, in his opinion, backward. Instead, he believes that working hard, practicing, and playing will eventually lead to the desired results. As a result, his focus on streaming, playing a great deal of poker on 888, and attending poker festivals will help him get where he sees himself going. Parker Talbot is certainly no stranger to being in the limelight, and he seems to truly enjoy it. Here are five clips of some of his best moments captured forever in YouTube glory. While simultaneously playing several games, Talbot enjoys a huge pot, not to mention some other lucky cards. This luck is combined with his skillful insight regarding opponents, and all of the commentary is delivered with his usual acerbic style and wit. Here’s an entertaining clip of tonkaaaap surviving the bubble at the 2017 World Championship of Online Poker (WCOOP) where first prize is a nifty $83,000. 3. Who says poker doesn’t involve luck? Here are some amazing highlights where tonkaaaap is down to one big blind and ends up running really well to win the tournament. In this hand from Poker Night in America’s King of the Hill II tournament, Talbot is heads-up against the Poker Brat and ends up knocking him out. Quite frankly, this is enough to make anyone’s best moments list. Enjoy this hand wherein Talbot fulfills a lifelong dream—complete with the always-expected Hellmuth trademark tantrum. If you’d like to watch the entire third-round heads-up matchup between the two, enjoy here. There is no doubt that Parker Talbot is one of the most entertaining, committed, and focused young poker players today. Talbot not only walks the walk, but he also talks the talk. He puts in the necessary hours in order to improve and gain a greater appreciation for the game. And he also understands how the game has evolved and relishes every opportunity to share his expertise with whoever wants to learn from him. Watch Parker Talbot and his tonkaaaap live streams, and you can see both his love for, commitment to, and focus on the game. And it is a glorious thing to watch, indeed. 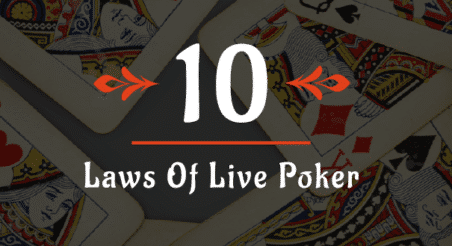 Note: Learn how the pros play preflop! Join the 151,389 people who have upgraded their poker skills with our FREE Preflop Charts! Get them now!